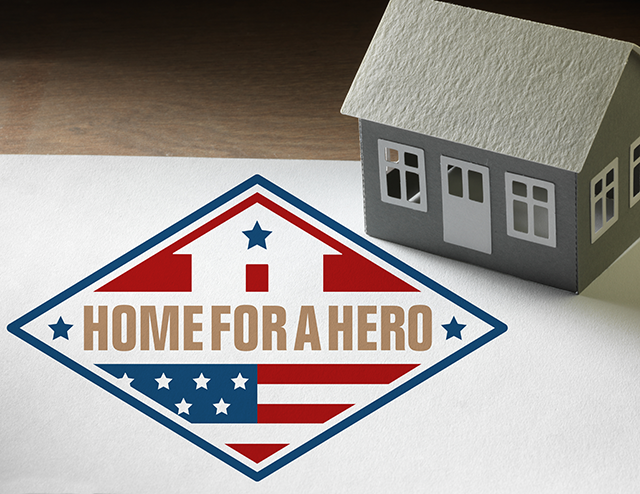 Vivitiv is proud to have created this mark for new initiative to assist homeless veterans and their families. The Home for a Hero project is a collaboration between the King County Housing Association, US Departments of Veterans Affairs, and Housing and Urban Development and WA State landlords to set aside housing stock, administer Housing Choice vouchers, provide eligible vets with move-in expenses, case management and support services. 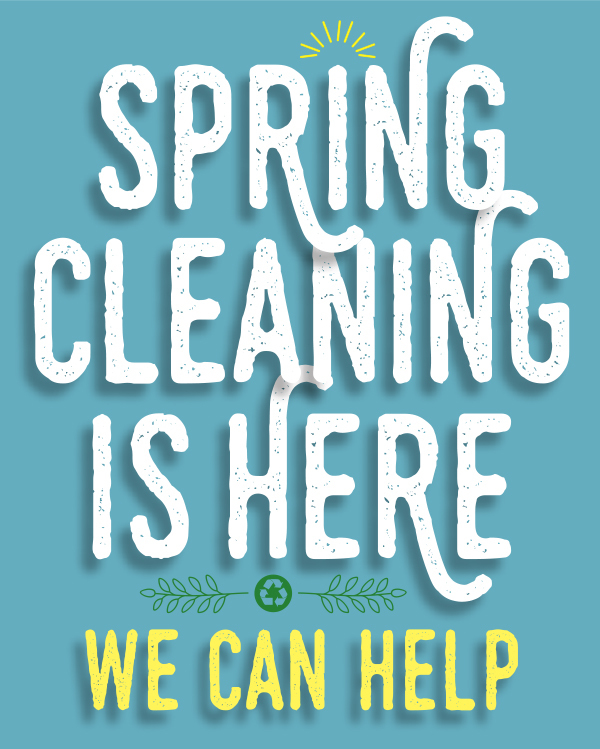 Detail of a new type treatment for the 2015 spring clean recycling day event advertisement for the Cities of Bellevue, Beaux Arts Village, Clyde Hill, Hunts Point, Medina and Yarrow Point, WA. 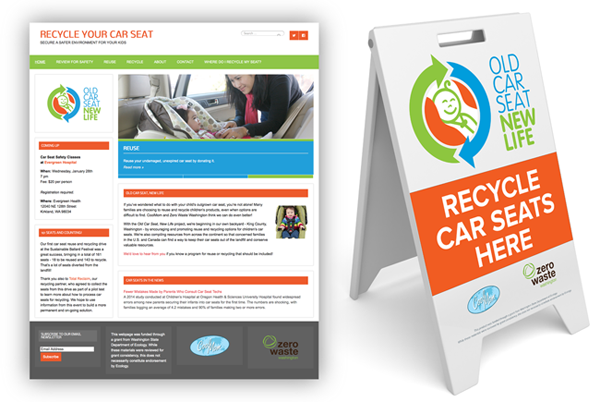 Vivitiv worked with the advocacy organizations Cool Mom, Zero Waste Washington on the brand design of the Old Car Seat, New Life program. 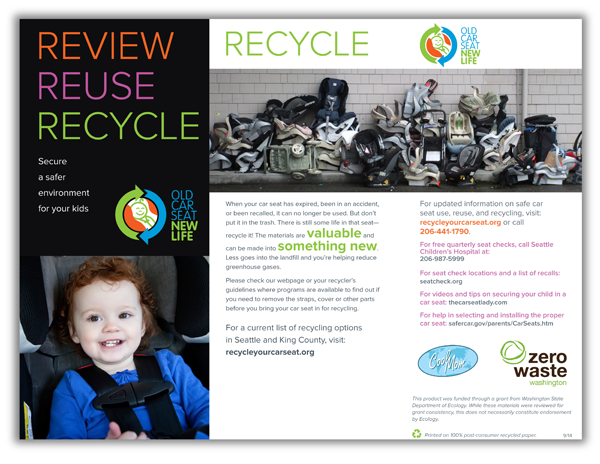 Vivitiv developed the visual language for this new program which included a logo design, the RecycleYourCarSeat.org website, tagline creation, informational brochures, and cards, wayfinding signage and event displays. 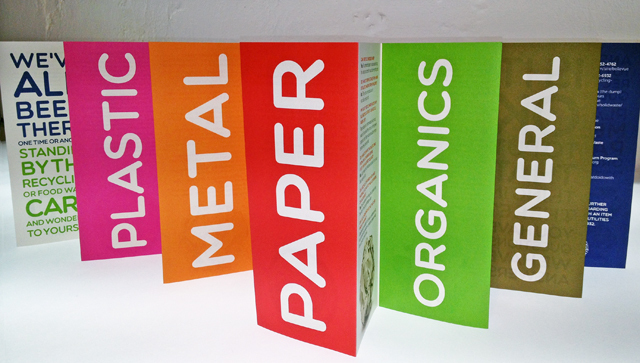 Funded by a Public Participation Grant from the Washington State Department of Ecology, CoolMom and Zero Waste Washington are working together to tackle sustainability issues of children’s products, beginning with children’s car and booster seats by expanding reuse and recycling options. 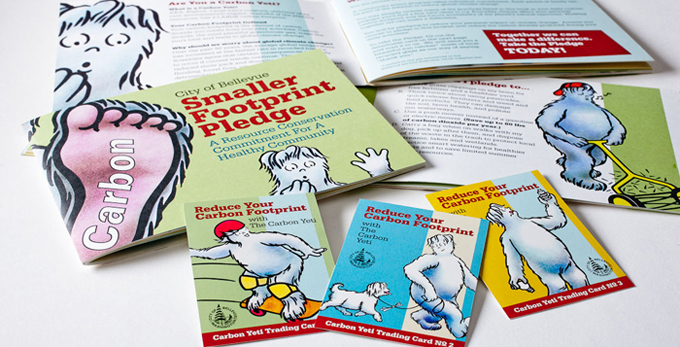 The campaign provides information for families to review, reuse and recycle car seats and an ever-growing network of partnership programs nationwide. Many thanks to the Technology Alliance and Washington Biotechnology & Biomedical Association for a fine event on investment opportunities held at the downtown Seattle offices of K&L Gates. 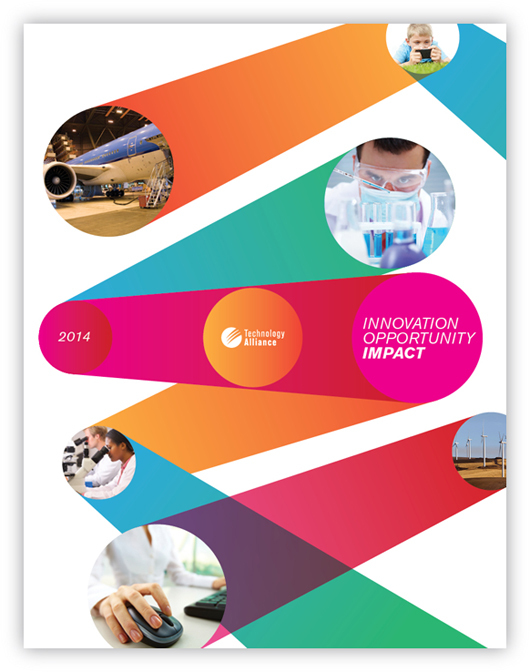 Shown on the big screen is the Vivitiv identity for the Technology Alliance’s Innovation Showcase program. This half-day event brought together information technology and healthcare innovators, investors and entrepreneurs for panel discussions featuring experts from VantagePoint Investments, Sequoia Capital, Providence Health & Services, Point B Management Consultants, and Fortis Advisors. 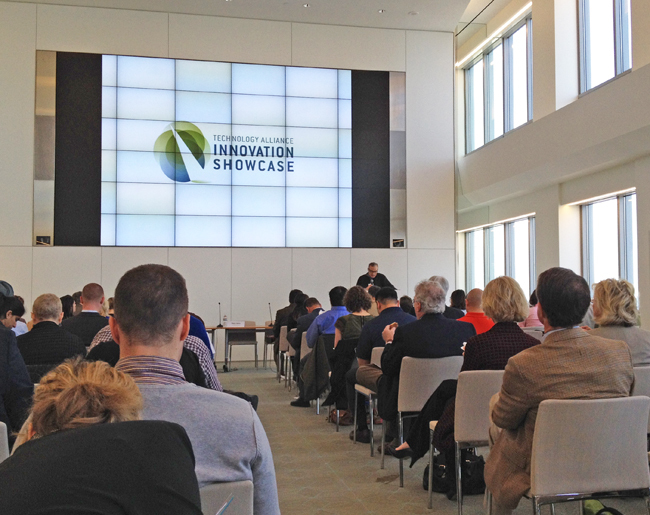 The program also included a fast-pitch showcase with local technology companies discussing a wide array of online and mobile apps and products to assist providers, insurers, researchers and consumers in a changing healthcare environment. A very productive and informative event. We recently developed a Frequently Asked Questions brochure for the City of Bellevue, including the BIGGEST question of all; Is it OK to put this thing in there? 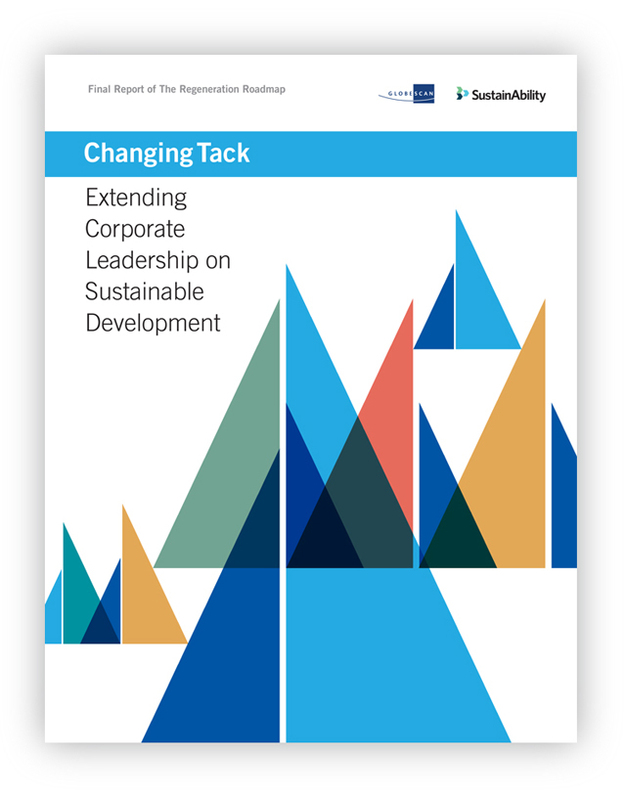 Vivitiv just completed work on Changing Tack, Extending Corporate Leadership on Sustainable Development. This is the final report from The Regeneration Roadmap project, a global collaborative and multi-faceted initiative by GlobeScan and SustainAbility, which aims to provide a roadmap for achieving sustainable development within the next generation, focusing in particular on ways the private sector can improve sustainability strategy, increase credibility and deliver results at greater speed and scale. A live webcast of the results of 18 months of research, interviews and a series of global salons was held this morning, and further information on the ongoing project, and the downloadable final report can be found at the The Regeneration Roadmap web site. 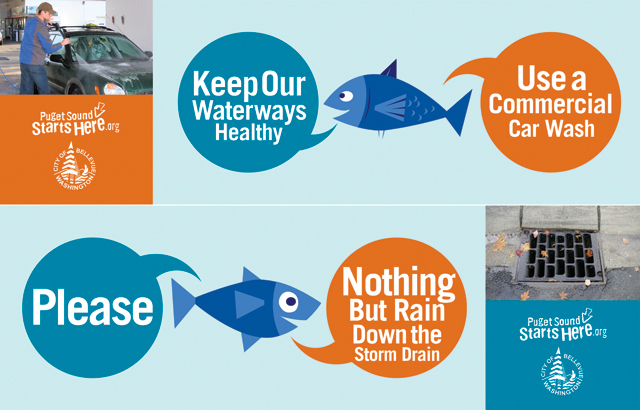 We were reminded yesterday that our work with the City of Bellevue Utility Department on their campaign to reduce carbon emissions won an Education and Outreach award from the Environmental Protection Agency. 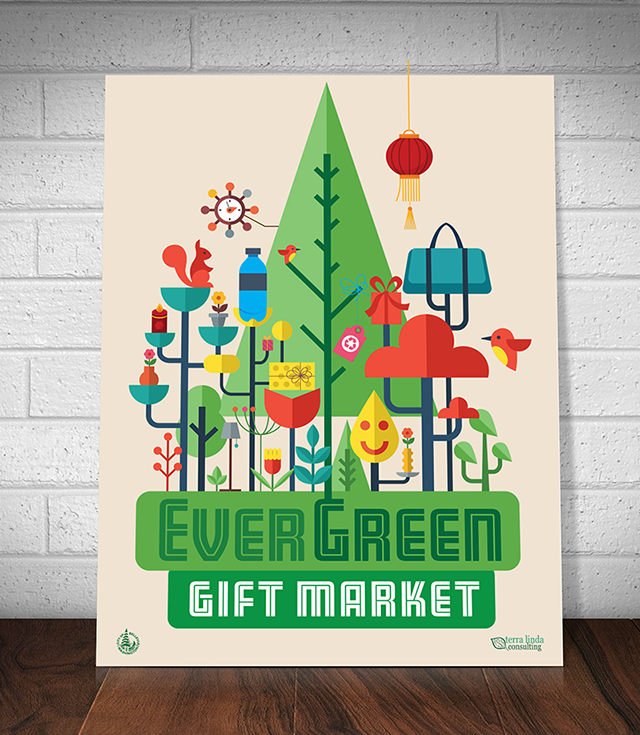 We forgot to post about this a while back, but better late than never we always say.